Originally from Columbus, Ohio, Sandi has lived in Lakewood Ranch/East County since 1999. 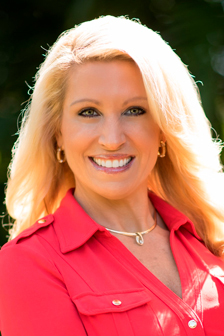 Having seen the development of the area from the very beginning, personally experiencing the golf and boating lifestyles, and raising her own family in Lakewood Ranch; Sandi was inspired to become a Realtor and share her valuable insights with others. Known for her mid-western work ethic and fair, honest dealings, she ef... more.fectively navigates her clients through every step of their buying or selling journey. Sandi is a Certified Luxury Home Marketing Specialist, demonstrating her elevated level of expertise when it comes to properties of distinction and the best ways to present them for a successful sale. Always ahead of the curve, Sandi sharpens her skills in real estate by attending the latest training classes on everything from contracts to technology tools. She is also a member of the National Association of Realtor’s Global Business Council. Sandi and her husband of 25+ years, Billy, live on the Manatee River and love the boating lifestyle. They have a son who plays baseball at the University of South Florida, and a daughter on the dance team at the University of Alabama. As a former dance teacher and high school coach herself, Sandi is so proud of her children and loves transferring the drive and desire to be the best to her real estate career. When she is not out showing property, preparing marketing strategies or meeting with customers, Sandi enjoys fishing, traveling and attending sporting events. ...less.